The basic structure can be built by the team of people, however, for construction of the distinctive project there needs to be an extraordinary team. This type of commitment and enthusiasm present in the team of experts, who are working for Floridaa Faridabad Sector 82. Though the site is well known for its Prime location and a lot of projects are going on in full swing, among which few are handled by the leading and famous group of developers. It may be very easy to have a dream for anyone, however, a lifetime achievement to realise that dream; which consists of a one-time opportunity for most of the people in every country. Floridaa Faridabad is one of the topmost brand, which is handling various projects simultaneously. The efficient talented Man force, are using the advanced techniques and strategist planning for the successful completion of the project. The best part of the project is that it is quite economical and affordable by the major section of the society. No matter which level you belong to, Floridaa Faridabad project belongs to you. The group is working in collaboration with HUDA and other important Ministries, to make the success of PM mission. Since 2600 crores have been contributed by the government, to achieve housing for everyone within next few years. After the land in Delhi and other regions of NCR has been fully occupied by the people, Faridabad has become the kingdom for the development. Investors have started preferring this location for investment purposes. Floridaa Faridabad is also offering the provision of bank loans to purchase the units of the project, without any kind of pressure on the working class. The Accommodation is required by each family, which is one of the basic necessity, a roof over the heads. However, it is not possible for everyone to invest the amount in a single go, for an instance. So the options for instalment or bank loans are proven to be a magic stick, for the buyers. Buyers who are truly interested in making an investment but unable to do so. Our payment plans would guide you in making a purchase decision. Floridaa Faridabad is also providing an advantage in their project site, by offering quarters for the helpers of the residents. So that you can easily keep your servants near you, without facing any hindrance. The accessibility of domestic help provides you with the comfort of life. It provides you with ample of time for yourself, rather than only being involved in the domestic chores. It is really difficult for a group to construct an affordable accommodation for every level of society, within the offered price range; which Floridaa Faridabad has been doing for quite a while. Market forces are also expecting the same kind of support and demonstration of exquisite Quality of work, by the group in future. So that the various projects, which are under construction at the moment can also meet the expectations. The mission of the group is to offer the timely delivery of all the units, to their respective owners, hereby fulfilling the promise of quick possession. So that their life runs smoothly in the process. Floridaa Faridabad is not only building the strong structure, with the help of best quality pillars and foundations. However, we are also going to invest, on the basis of their brand Foundation. So that they can easily win the trust of market forces, as well as the prospective buyers. 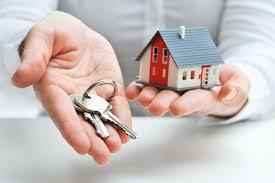 In order to keep growing, through the market of real estate in Faridabad our professionals are working in detail. For delivering the long-term commitments, the team of talented experts are taking care of every brick. They fix in the structural walls so that the units live longer than expected and can also keep providing the additional profits to the property owner. We at Floridaa Faridabad considers customer satisfaction as our utmost mission. Likewise, our team of professionals perform with a dedication to delivering the mission. The group has been in the process of providing all the basic amenities, to fulfil your idea of a dream home. Features like:-swimming pool, party lawns, gymnasium and other recreational sports activities are available within the project premises. The residents would not have to go to other places every time, and they could spend leisure time with their families. We have designed every inch of our project considering a customer’s perception in mind. 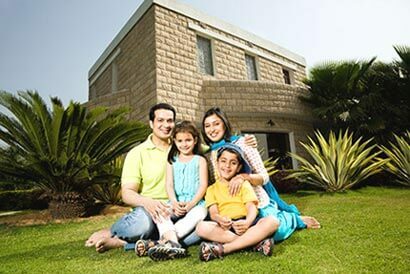 We want the residents of Floridaa Faridabad to relish the blissful life we try to create. A proper security system is also been installed, as security is primary. We have tried to ensure that there exist no flaws, in the walls of Floridaa Faridabad. The group has been providing the high-grade security with the gate installed, at the entry of the site. To avoid any chance of a trespasser or outsider to enter, without the permission of the concerned person in the premises. The visitors are also been given importance since they will be visiting their friends and relatives in the units of Floridaa Faridabad. Keeping sure that visitors do not face any kind of trouble while parking their conveyance when they visit their near and dear ones. There is a reserved parking, which is exclusively meant for the residents of the building. The powers of the towers of Floridaa Faridabad Sector 82 is lying in the appearance, that can be viewed very easy even from the far away Roadways. So that the people can reach the site without any obstacle. The area can be easily located and is gaining a lot of eyes. The location is prime and all the facilities are easily accessible including Schools and Educational Institutes. The establishment of medically approved hospitals is in full construction, which will soon be ready to cater the people around the area. In a nutshell, this location is fulfilling your every purpose. There are a lot of location advantages which people would enjoy. While going for the strategist construction of Floridaa Faridabad, the mission of the group of a developer is to offer the best possible and the affordable prices; to their prospective buyers and investors.